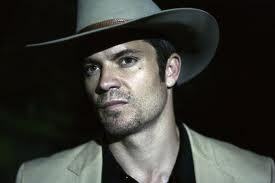 The True Blush Girls invited me back to discuss episodes 2 thru 5 from Season Two of Justified. Check it out here – The Hillbilly Whisperer. A great show with an awesome cast that is a lot of fun. PS – keep an eye, and ear, open for another joint podcast where we will meet again to discuss, ‘The Hunger Games,’ trilogy and the upcoming movie adaptation.